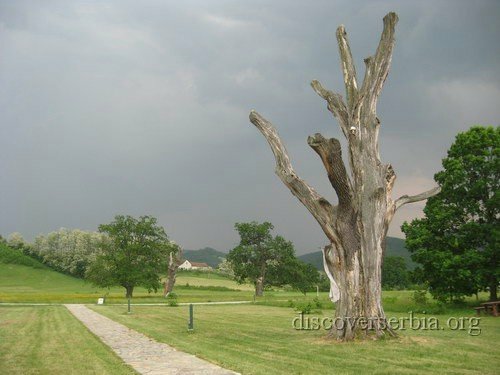 On the spot of a today's monument "Second Serbian rising" there are only a few oak trees, and there had been a dense oak wood in the past. These remaining oaks are under the protection of the state. 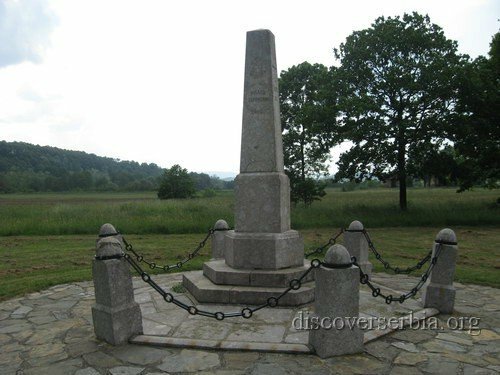 On this very place, on the Orthodox holiday Cveti, the April 11, 1815, the second phase of fighting against the Turks in Serbia had begun. After the defeat in the First Serbian rising, Serbs had found themselves in even worse conditions than they had had before. Besides imposing many new high taxes for the reparation, Turks began with retaliation and killings not recorded for their entire rule in Serbia. Preparation for the rising had been kept in secret. The final decision had been brought on the Orthodox holiday – Cveti , during the feast in Takovo. The fights lasted only 4 months. Political situation in Europe was then better for Serbia than in the times of the First Serbian rising. After defeating Napoleon, Russians could help more so that the fights continued in a diplomatic manner. Serbia got a significant autonomy by which a certain political and diplomatic development was achieved. 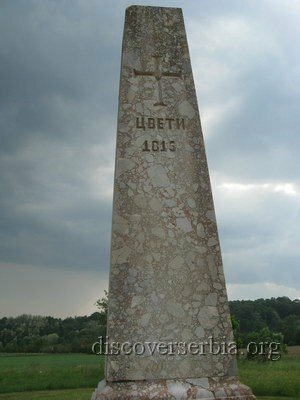 Defeating the Turks and with the peace of Jedren in 1833, Russians helped Serbs to abolish the Turkish power and feudal relations, but Serbs had to pay tribute every year to Turkey. 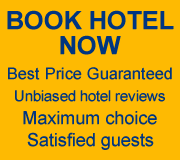 Takovo is situated 15 km from city of Gornji Milanovac.